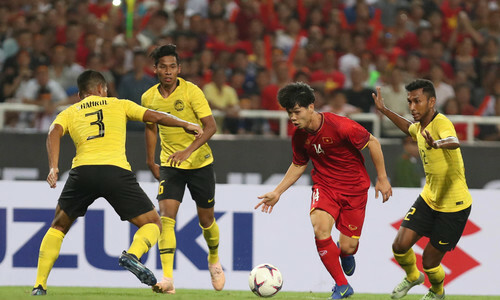 Vietnam countered many attacks from Malaysia to achieve a convincing victory on home ground on Friday night. 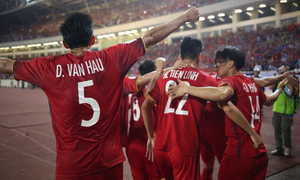 With tens of thousands of fans cheering at My Dinh National Stadium in Hanoi, Vietnam has claimed its second victory at the ASEAN Football Federation (AFF) Championship, bringing itself closer to the semifinals. Vietnam now shares the top spot in Group A with Myanmar after two games. Malaysia also have six points but have played one game more. The top two nations in the five-team group qualify for the semi-finals. The game on Friday started with Malaysia playing the upperhands, launching many strong attacks and holding more possession. But the tides turned when Vietnam had an early goal in the 11th minute, thanks to an elegant back heel touch by forward Nguyen Cong Phuong. Vietnam gained more confidence, and obviously concentration, thanks to the first goal. The home team steefed up their defense and proved more decisive anytime they got the ball. When the teams returned for the second half, Malaysia showed more of their fight spirit. Strong and ferocious attacks came repeatedly toward the Vietnamese goal. There were physical clashes, frustration and anger were visible. 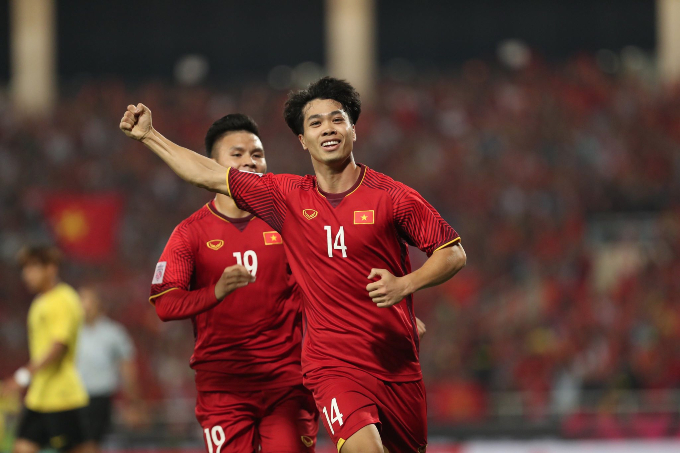 But Vietnam showed that they handled the ball better, scoring their second goal at the 60th minute when Nguyen Anh Duc had an excellent finish from an assist from the midfield. Both Duc and Phuong scored for Vietnam at the previous match against Laos in Vientaine. For the last 30 minutes in the game, Malaysia's main mission was to find a loophole for a goal, but they failed. Vietnam has showed a stable, careful and elegant game. Vietnamese coach Park Hang-seo said he was happy with the team's performance. "I’m satisfied because the team performed well today and earned three points. Besides, no players were injured," he said at a press conference. Coach Tan Cheng Ho of Malaysia said his team did not play a good game. He said they lost due to poor defense and it was a lesson for them. 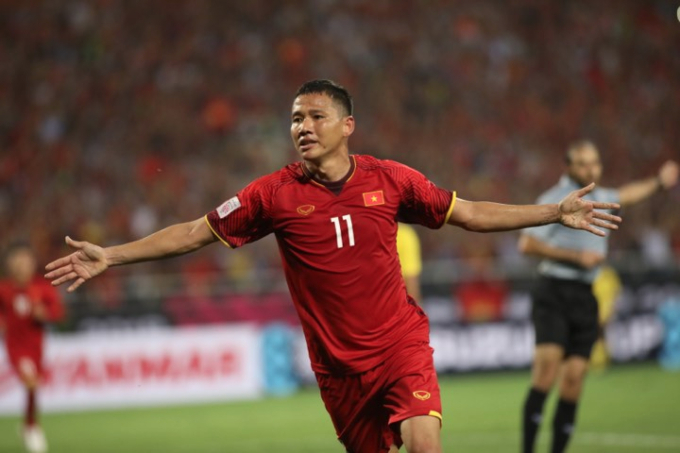 Vietnam had a 3-0 smooth victory against Laos in Vientaine on November 8. Its next away game will be against Myanmar on November 20. 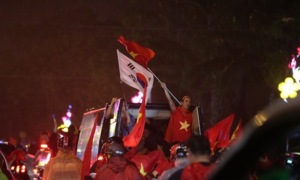 Tens of thousands of Vietnamese fans, including Prime Minister Nguyen Xuan Phuc and National Assembly Chairwoman Nguyen Thi Kim Ngan filled up the stadium Friday night. 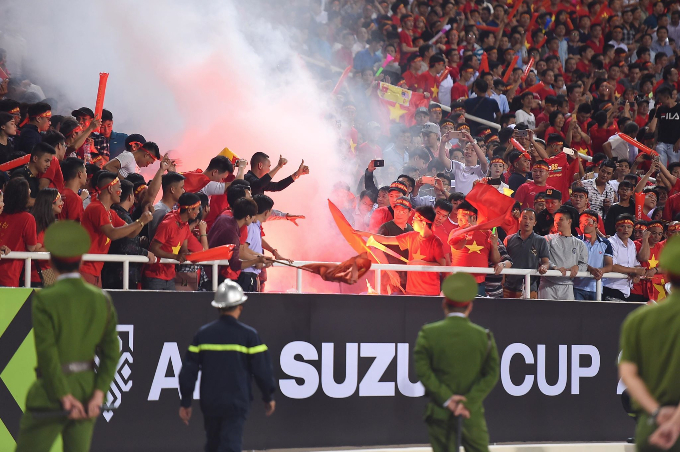 The victory prompted many fans to burn up flares at the stadium although the Vietnam Football Federation has warned that it was not allowed, given recent penalties and threats from the Asian Football Federation.